Makhana is also known as fox nuts or lotus seeds. They are the seeds of lotus flower. Makhana can be used both in sweet or savoury dish. 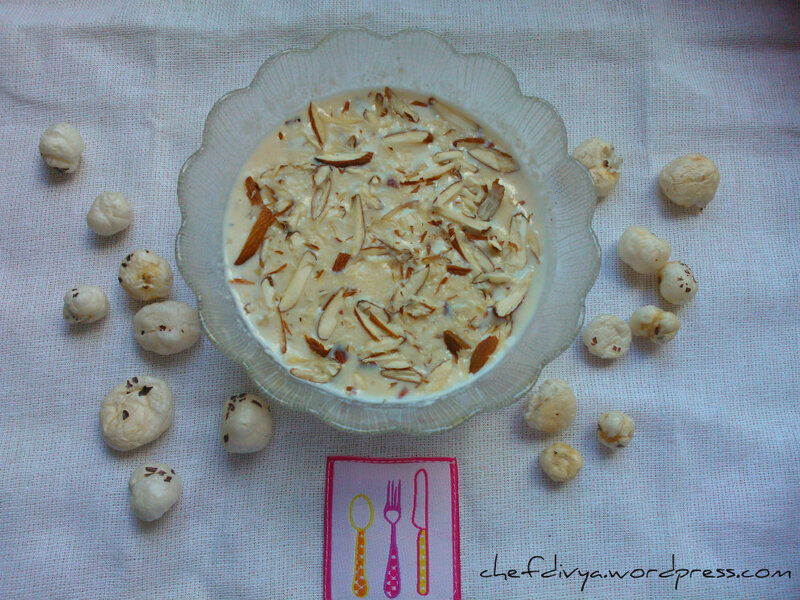 This is a sweet dish and can be eaten in fasting days. Makhane can be eaten as a curry also or you can simply roast it and eat it. Roast makhane/ lotus seeds for 1-2 mins. Do not burn them. Boil milk in a heavy bottom pan. Let the milk thicken. Meanwhile grind the makhane and almonds coarsely. 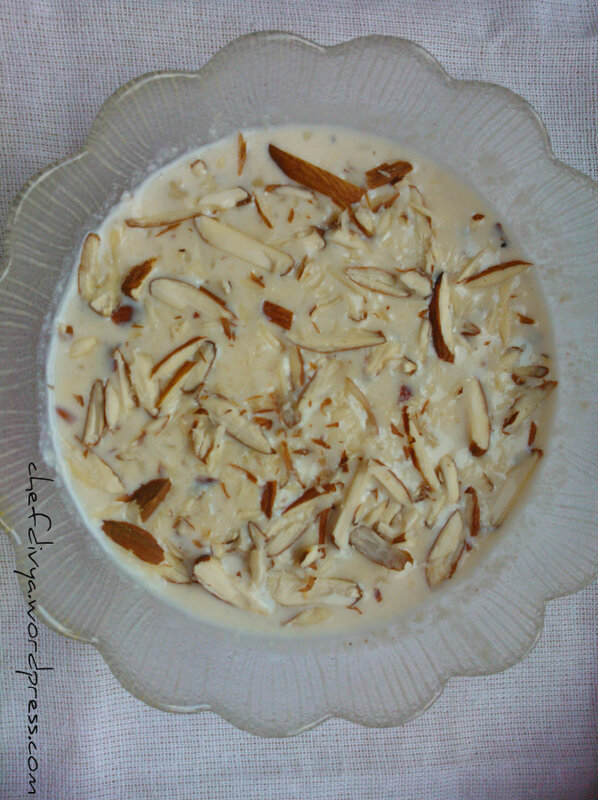 Once the milk is thickened, add ,makhane & almonds. The pudding should be thick, at last add green cardamom powder. Note:- You can also add milkmaid/ condense milk to it. When adding condense milk, the quantity of sugar & milk is reduced. attractive and yum…..looking dishes very well explained and nicely presented.